Missing only one digital output for your project? 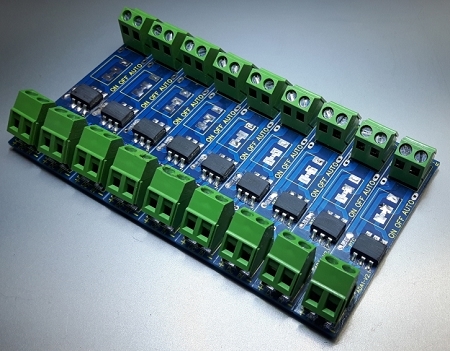 Need to pulse a device with 12 or 24V? 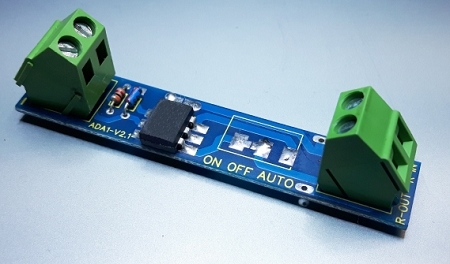 Convert any DDC 0-10V output into a normally open 24VAC or DC , (4A 24VAC pr 2 AMP 24VDC peak) solid state relay. Driving a larger relays from a 10VDC output. No external power supply is needed for the control signal, only the 0-10V from your controller. Can be it can be placed close to the controller or near the device to be controlled using only 2 wires. Small form factor , can be mounted on rails, snap track or placed into a shrink tube . If using non PTC , input must be protected to prevent over current . If AC load is under 200ma, PTC might prevent output from working as holding current is too low. 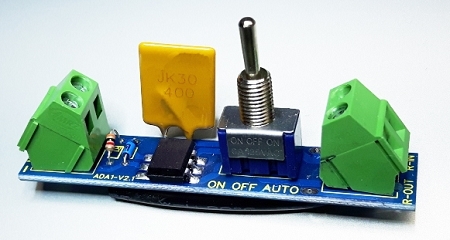 One channel signal converter module. 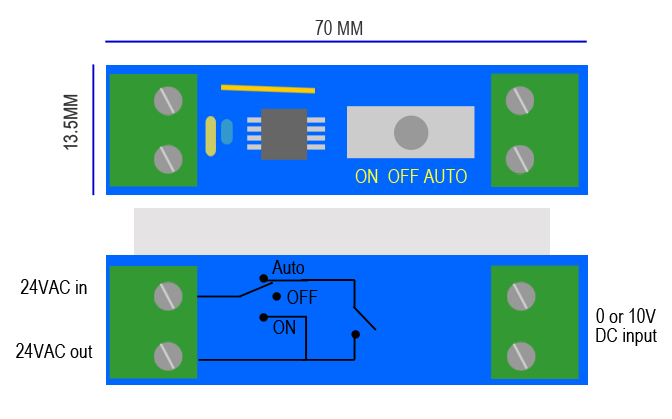 For a signal change from 0..10Vdc (from external controller) into an on/off relay contact output.